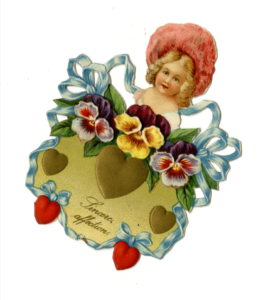 The Elmhurst History Museum offers a class in Victorian Valentine Making on Saturday, February 9, 2019, from 2 to 4 p.m. in the Museum’s Education Center. Valentine’s Day is just around the corner, and in this class, you can create a beautiful, handmade Victorian valentine to surprise that special someone in your life. The class is open to all ages, and craft supplies are included in the $3 per person fee. At Elmhurst Toyota, we think this family-friendly activity is a great way to spend time together, express your creativity and make something truly unique. There’s evidence that handwritten valentines, sometimes including love poems, were a custom in Europe as early as the fourteenth century. Many of the Valentine’s Day traditions that we observe today, such as sending flowers, chocolate or other gifts and cards, originated in England in the 1700s. We still use the enduring Valentine’s Day symbols of love that include the winged Cupid, doves and heart shapes. In Britain’s Victorian era, it was popular to give and receive elaborate, handmade Valentine’s Day cards incorporating lace and ribbons. The tradition soon spread to the United States and other countries around the world. In the Victorian Valentine Making class, you’re invited to visit the museum’s current exhibit, entitled Heart’s Desire: Love and Marriage. It includes many beautiful, intricately designed valentines, some of which date back more than a century. You’ll also see 19th and 20th-century wedding dresses from the museum’s own collection. These items may spark your creativity as you work on your own handmade valentine. Advance registration is required for Victorian Valentine Making, so call 630-530-6879 today to reserve seats in the class. Please leave a message, including the number of participants who will attend. Remember, this class is open to all ages and includes all the craft supplies you’ll need. The $3 per person admission fee is payable at the door on the day of the event. Saturday, February 9, 2019, 2-4 p.m.